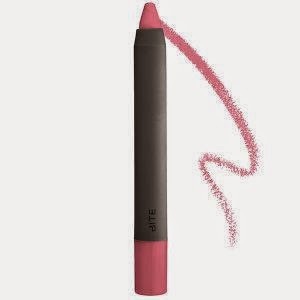 Bite High Pigment Lip Pencil (in velvet) - Ok so this is pricey for a lip pencil, but it is truly an amazing product. The color lasts a really long time and the texture is really smooth and creamy. I also really like the matte look because it doesn't look dry or cakey, it actually moisturizes a little bit. 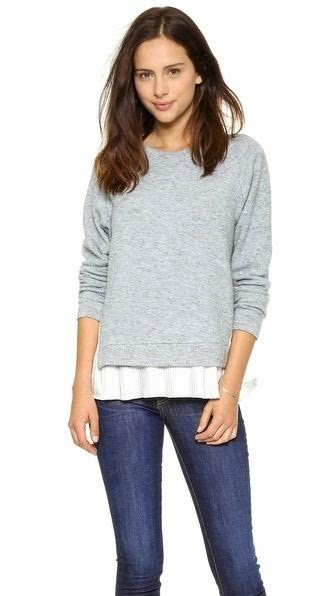 Sweaters with attached shirts (JCrew and ShopBop) - I just found one of these sweaters with silk shirts attached at Loft and I absolutely love it. 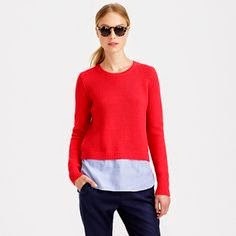 I had always tried to wear sweaters with collared shirts underneath and it never looked quite right, so I'm a huge fan of the one-piece attached look. 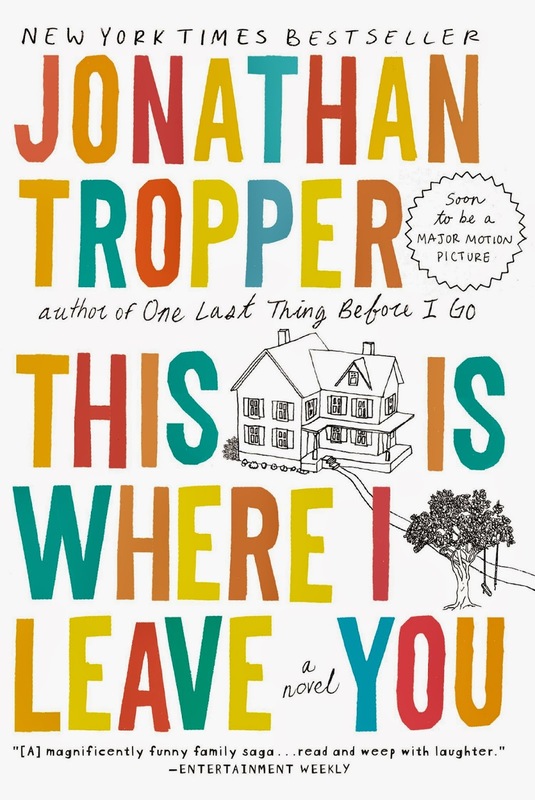 This is Where I Leave You - So I wanted to read this before seeing the movie that came out this month. So far it's really funny, even though it's a story of a family coming together for the father's funeral and sitting shiva for a week. 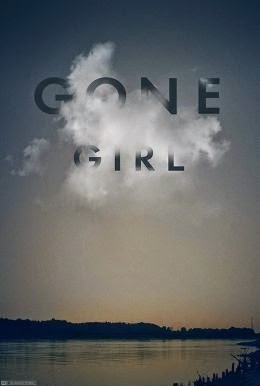 Gone Girl movie - Normally I am a very tough critic of books being made into movies, but Gone Girl was very good. It stayed true to the book and portrayed the important monologues and passages sufficiently enough. Rosamund Pike was amazing; she was perfectly creepy and mysterious. Warning: I highly, highly recommend reading the book first!